Non-auditable software means the software they use is not open to the payout audits a reputable casino is glad to receive.There are a number of websites and organisations set up to monitor and report on the internet casino market. We’ve selected four of the best. The UKOGA is the only place where online casino players can interact, discuss game strategies, online casinos, multi player games and any other topics related to online gambling. They are essentially creating a community for you to go and seek advice, suggest ideas to the casinos and have your voice heard in the industry. The UK Online Gambling Association is currently free to join as the forum is in its infancy. It has been live since the 12th of November 2002 and they are actively encouraging people to join and help build the most focused community of UK online casino players on the Internet. They are also currently looking for forum moderators to help manage the community, if this interests you please contact them. 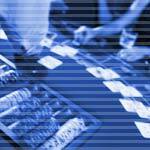 The Internet Gaming Commission monitors the activities of internet casinos and gambling, helping players to make informed decisions about where to gamble. The service also offers a mediation section where disputes can be addressed between players and internet gambling sites. The site is available in 5 languages (English, French, Spanish, German and Italian) and is updated every day. Founded in 2000, the Online Players Association is similar to the Internet Gaming Commission in that it contains advice, blacklists and a mediation service. The OPA will mediate any dispute between a player and an internet gambling site endorsed by the OPA. Since March 2002 the OPA has recovered over $400,000 in winnings and deposits for players. The Interactive Gaming Council (IGC) was formed in 1999 and is a not for profit corporation organized under the Canadian incorporation statutes. It’s primary purpose to provide information and education regarding the internet gaming industry. The IGC's membership is comprised of gaming operators, software designers, and ancillary support companies located throughout the world. The IGC Seal of Approval is given to sites that have the best reputation and can be trusted as an internet gambling service.